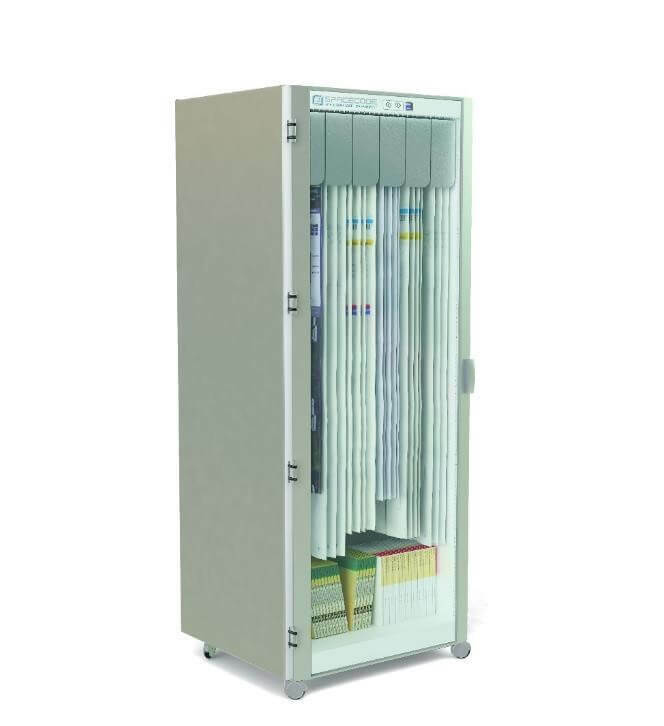 The Spacecode Rack provides intelligent storage and monitoring of long-standing or hanging products such as ablation catheters, AAA grafts or guiding catheters. The SmartRack comprises six drawers with five hooks each and can store up to 180 items. A winning combination of RFID and engineering expertise, the Spacecode Rack solution enables hospitals to track and trace all items in any medical inventory to ensure lower management costs and complete protection of high-value products.